If you have any common sense, you will know that the conditions inside an industrial facility can be one of the most brutal environments ever. 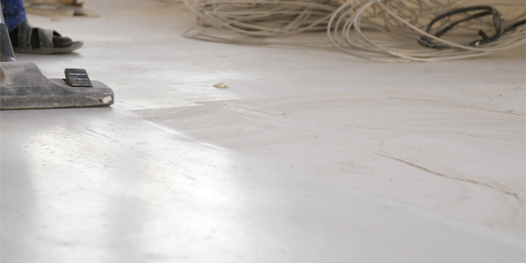 If you even think about installing a weak flooring system in an industrial facility, you can expect you have that flooring removed and forgotten about in less than five years and that isn’t a very good investment at all. If you care about your business, you know that you need a flooring system that can at least last 15 years, and the lifetime of the flooring is not all you should be worried about. We have a solution for all of our neighbors in Dallas who own industrial facilities, and that is our industrial epoxy flooring. If you’re tired of flooring that won’t last, please allow us to tell you about how our flooring systems are going to work for you and your facility. One of the best features of an industrial epoxy floor coating is the simplistic maintenance of the industrial epoxy floor coating. While simplistic, the maintenance of the epoxy flooring is crucial to how long the flooring is going to last, so we put an emphasis on upkeep being done at least twice a week in low traffic areas and at least once a day in high traffic areas. To begin, remove all loose debris on the flooring with a soft bristle broom or dust mop. A stiff bristle broom will scratch the epoxy. After all loose debris has been removed, use a standard wet mop to finish off the daily maintenance of the industrial epoxy floor coating. Always be sure to test all chemicals on a secluded piece of flooring before using it on the entire floor, some chemicals can turn the top coat of the epoxy cloudy. The process of preparing the concrete slab for the industrial epoxy floor coating needs to be done perfectly down to the tee. We will always recommend that you use our professional industrial epoxy floor coating contractors to complete this task. An inspection is done to find if the concrete is ready then the installation of industrial epoxy flooring will begin. 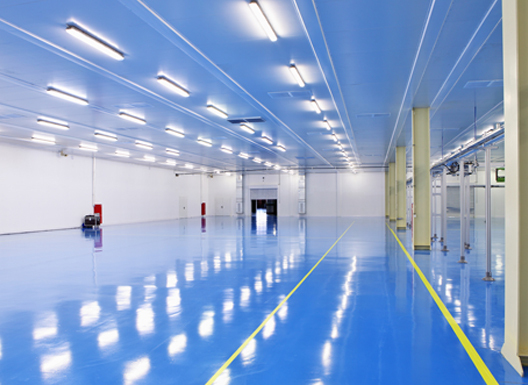 What Is Industrial Epoxy Flooring? An Industrial epoxy floor coating follows the same guidelines as far as composure as other types of epoxy flooring. This means that the industrial epoxy flooring is made up with an epoxy resin and epoxy hardeners. When these two materials are mixed together, the curing process will begin. Industrial epoxy flooring is a 100 percent solid epoxy system meaning for one, it is the strongest type of epoxy available on the market and secondly, there is a special way the industrial epoxy floor coating has to be applied. To install the industrial epoxy flooring, you cant use rollers or trowels, you have to use a squeegee followed by a spike roller to release any air bubbles in the industrial epoxy floor coating in Dallas. We all know that the environment inside an industrial facility can be rather harsh, but did you know that there are very strict guidelines that the flooring inside these facilities or else the facility can risk serious health and environmental hazards. These hazards can be so great that they can actually lead to the facility being closed until the issue is resolved or even shut down permanently. This is why industrial epoxy flooring can give your facility the advantage or even save you money! To the right, we have only a few of the many amazing benefits that an industrial epoxy floor coating in Dallas can bring to your facility. 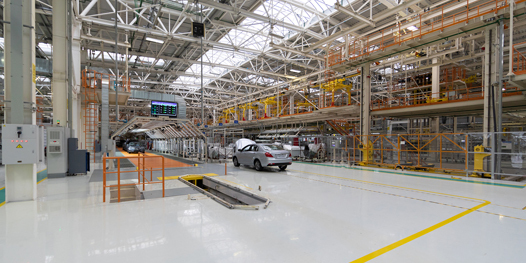 Superior Durability Industrial epoxy floor coating has the ability to resist a wide range of damage. The industrial epoxy flooring can protect your concrete slab from dropped objects, vehicle traffic and even the use of heavy machinery! Chemical Resistance Industrial epoxy flooring is one of the most chemical resistant floorings on the market. It credits the amazing top coat of the epoxy that isolated all moisture on its surface for easy cleanup and disposal. Non-Slip Surface When industrial epoxy flooring is in place in your facility, the flooring provides natural grip. Even when the area is prone to spills, there is a special additive that can be used to supply grip, even when the flooring is wet. One of the best features of industrial epoxy flooring is the level of customization that can be applied to the flooring. There is a wide assortment of different base colors, the option to use multi-colored or single colored flakes, and even the use of metallic pigments. While these are fine for making the industrial epoxy floor coating look better, there are ways that it can be customized to make the area more efficient. We can use stencils to create walk/ vehicle paths, text, and even barriers. The stencils will be placed under the top coat of epoxy so you won’t have to worry about them coming up or not being visible, even when the flooring is dirty. This can make the industrial facility much safer when high volume workloads are in place.